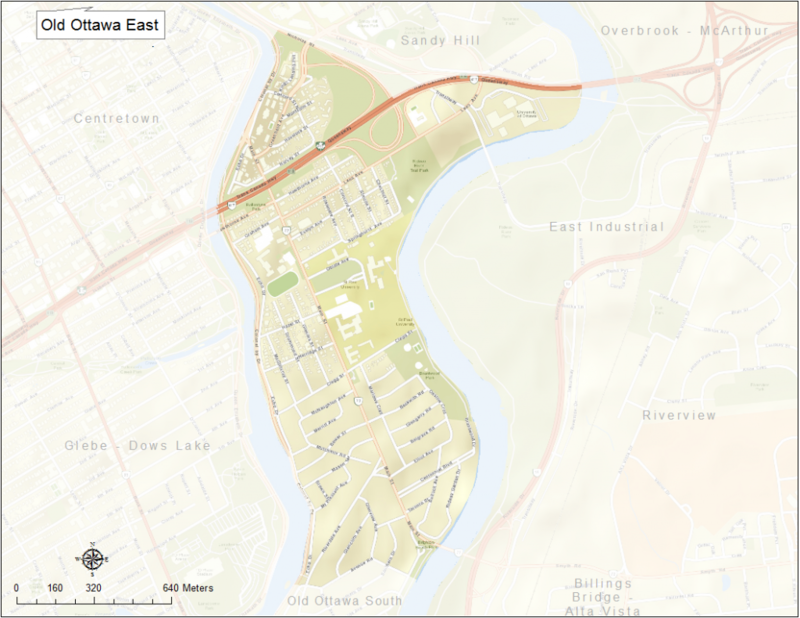 Old Ottawa East is bounded by the Queensway and Nicholas Street to the north, the Rideau River to the east, Avenue Road to the south, and the Rideau Canal to the west. Old Ottawa East was originally the suburban community of Archville, and was incorporated as the village of Ottawa East in 1888. The village was then amalgamated with the larger City of Ottawa in 1907. Old Ottawa East’s complete history is available for viewing at http://history.ottawaeast.ca. Written in part and compiled by Rick Wallace, it includes about 500 photographs and 300 pages of text about the development of this community. The neighbourhood of Old Ottawa East includes the communities of Rideau Gardens, Archville, and Greystone Village. Here’s an infographic that describes the neighbourhood as a Village of 100 (2011 data).